Mom's Gone Bronson! : You can say NO to a deal - it doesn't always have to follow you home! You can say NO to a deal - it doesn't always have to follow you home! When most people think of couponing they have this immediate flash to a crazy couponer running around filling their cart with 500 toothbrushes and a shed ton of something else just as ridiculous, just to save a buck - but believe it or not, while you can probably score a good deal on a toothbrush (who doesn't need a good toothbrush?!) - there are still ways to shop savvy with coupons, without feeling as though you are only picking up items for the sake of geting something free! Of course, getting something free is great and OF COURSE if you have a coupon for it you should pick it up if the cost per item is that low that you would consider it a "stock up price" but do you REALLY need 50 deodorant sticks and 75 tubes of toothepast along with 50 of the same shade of blue eyeshadow because someone else already cleared out all of the good stuff with the same coupon? Sometimes it is perfectly acceptable not to use a coupon and not to pick up whatever that weeks deal is, but you really have to take a step back and look at what you need and go for those deals and build a stock pile of necssities - which might include several toothbrushes but certainly not 500 of them! I used to coupon a lot more than I do now, and I used to come home with a lot of freebies and crazy things that I wouldn't otherwise pick up and at one point I had so many bottles of shampoo and toothpaste that it was just getting beyond rediculous. I did give a lot of it away and made care packages for certain people who requested them but it took a lot of time and effort to go on the trips I would make to essentially hoard all of this "stuff" that I didn't really need! NOW I shop with coupons on a lighter level and only use the ones on things I know I am going to need and the excitement of saving a buck is still abundant, though seemingly more gratifying when I know that whatever it is that I am putting in my cart is going to be something we can definitely enjoy and is going to save money without cluttering my basement. 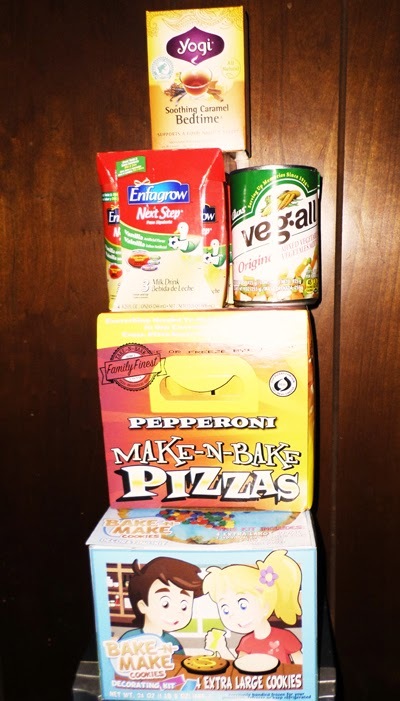 For instance, this week I picked up 8 boxes of Tandoor Chef, 3 cans of vegetables, a block of cheese, Make-N-Bake Pizza Pak and a Bake-N-Make Cookie Kit (from Family Finest), a 4 pack of toddler milk from Enfamil and a box of Yogi Tea! All of the above cost me absolutely NOTHING because I had the right coupons for free purchases and I saved a whopping $60 give or take some cents here and there, and I know all of these are things I WILL use and so my time and effort going to get them was well worth it! I love to see my receipt when I've shopped with no cash and walked out of a store with bags of free groceries and/or essentials, and I never feel loaded down by deals that I am not going to need! I don't spend the extra money on things I MIGHT need someday and my basment is no longer cluttered! If you have the time, energy and resources to devote to hours of clipping, price matching and stocking without hoarding, then I take my hat off to you, because it CAN get very stressful! It is a game, of sorts and those who are most resourceful and organized can truly do well with a good coupon and the right deal - but you don't have to be affraid to walk past a "deal" and save a few pennies instead - a penny saved, is a penny earned, and 20 cents per toothbrush [on 500 toothbrushes] is $100 you could have spent on something else! Keep on using those coupons, keep on saving on the things you buy most, but really think about keeping some cash in your pocket too! You may just need it! 7 Things I am thankful for, this Thanksgiving! Lalaloopsy PJ Party and GIVEAWAY!